The whisky world, as many of us know, is a wonderful place. All around the globe producers are creating delicious expressions, bartenders are educating drinkers, and the whisky market is booming. Most of the people you’ll encounter along the way are friendly, helpful, and after a brief conversation about your favorite drams, they may become a friend for life. However, as the industry grows so does the number of self-proclaimed whisky experts who attack drinkers on social media and forums, attempting to insult their choice of whisky, way of drinking, and opinions. Some even garner followers and start to educate people when they don’t have the knowledge to start with. What makes one a real whisky expert? Read on. To start off, anyone openly calling themselves a whisky expert when their career has nothing to do with whisky is a red flag. A whisky expert is someone who has been in the industry for a long time and dedicated a large part of their life to it. Experts don’t just drink; they travel to distilleries, speak to producers and industry leaders, and delve deeper into the category in question. Whisky is their career, their topic of study, and the one they want the world to notice. The passion needs to be there, for the liquid and for the industry as a whole. The most famed experts out there are usually the most modest about their knowledge and the ones who will gladly and happily educate any new drinker over a dram. To be considered an expert your career doesn’t necessarily have to revolve around whisky, but to be able to teach others correctly and not mislead newcomers, you have to have spent a significant amount of time reading, studying, and speaking to others about the spirit. It’s all about how far into the journey you are. The best part is that, when you can be considered an expert, it won’t even matter anymore. You’ll be where you want to be. Even more concerning is the online world. Nowadays it only takes a few thousand followers on Instagram for someone to claim they have become a whisky pro, and with nothing else to go by but pretty imagery of expensive bottles, people will follow. On Facebook, whisky groups light up every day. A happy drinker posts a picture of a whisky on the rocks and the ‘experts’ rush in to criticize their way of drinking or the whisky they are enjoying. This group of individuals will jump at each and every opportunity to judge and complain. Instead of helping to create a fun and welcoming environment for new drinkers, they instead push newcomers away who will probably never share their whisky experience again. Luckily, the aforementioned group of fake experts aren’t the majority. So, don’t feel disheartened. 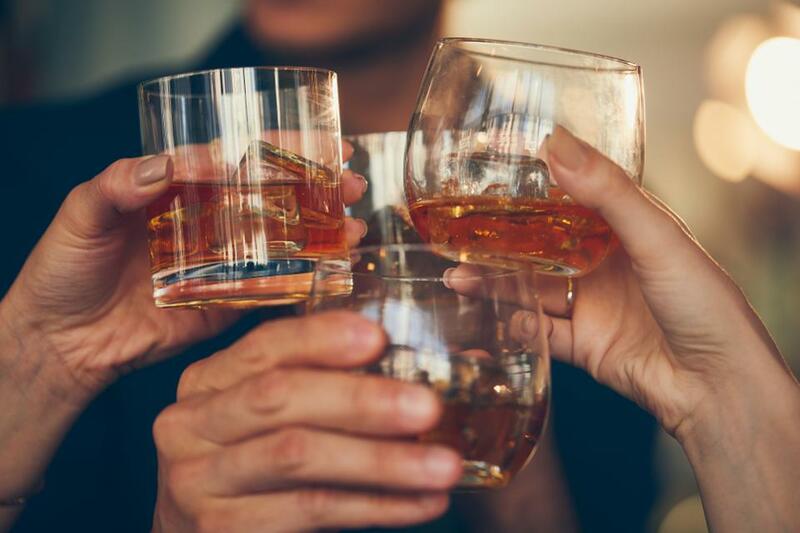 Most whisky fans are friendly, excited to learn about new stories and expressions, and eager to welcome newcomers into the growing world of whisky. If you’re just entering the scene, you’re in for a treat. You’ll quickly make friends all over the world, hear of some great stories of whiskies made in the most unexpected of places, and most of all, you’ll get to try some delicious whisky. This issue of false experts is real and one that needs to be addressed in an effort to stop it. For seasoned whisky fans, these self-defined experts are amusing, yet for newcomers, they can be damaging enough to send potential whisky fans towards cocktails, craft beer, or wine. Ask questions, take a close look at who you’re listening to, and speak if you see someone attacking another’s choice of whisky or the way they choose to enjoy it. Giving advice and tips is recommended, it’s how we all learn, but do it with respect. Together we can make the whisky world even greater than it is today.